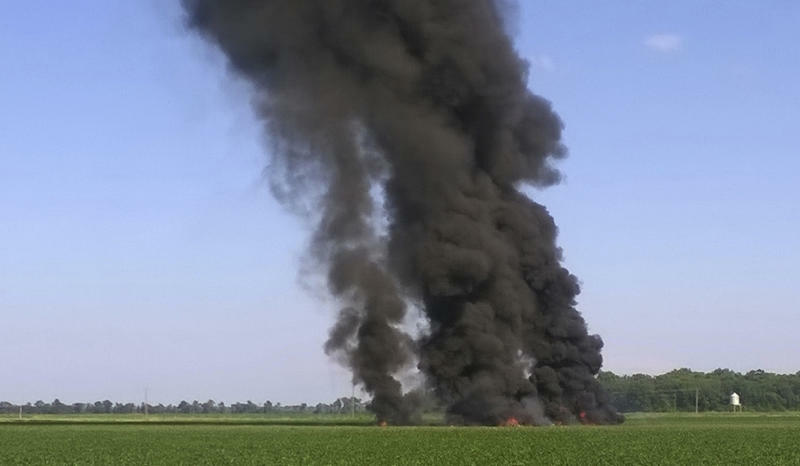 (Reuters) - At least 16 people were killed when a U.S. military plane crashed in rural Mississippi on Monday evening, a regional emergency management official said. No official details were immediately available on the circumstances of the crash in northern Mississippi's LeFlore County, about 100 miles (160 km) north of Jackson, the state capital. Captain Sarah Burns, a spokeswoman for the Marine Corps, said only that a U.S. Marines KC-130 Hercules transport aircraft had "experienced a mishap," with news media initially reporting five confirmed deaths. Several hours later, Fred Randle, LeFlore County director of emergency management, told Reuters that at least 16 people had perished. Randle gave no further details of the incident. The incident was a "tragedy", Mississippi Governor Phil Bryant said in a statement on social media site Facebook, but provided no details. Images posted online by news organizations showed the crumpled wreckage of a plane engulfed in flames in a field surrounded by tall vegetation, with a large plume of smoke in the sky above the crash site.